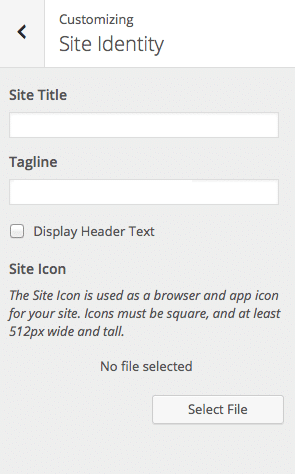 MH Magazine WordPress Theme fully supports the WordPress Theme Customizer. 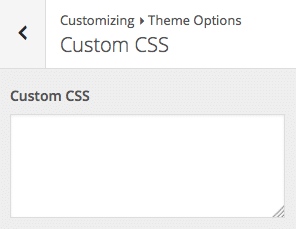 That means you don't need to bother with complicated and slow theme options panels. 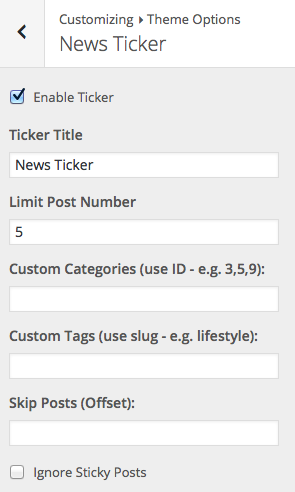 Start your own online magazine or news website and configure your website within a few minutes. 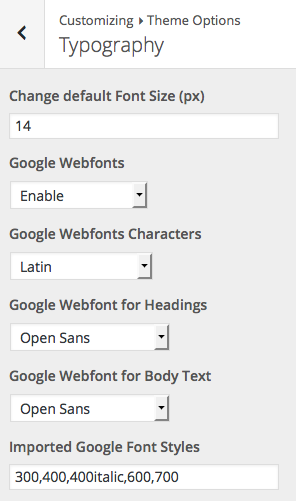 Set up your website with only a few clicks, change the layout of your theme very easily and use the built-in live preview to see the effects of your changes, before you save them to the database. We are absolutely sure, that you will love this feature, just like these people do! 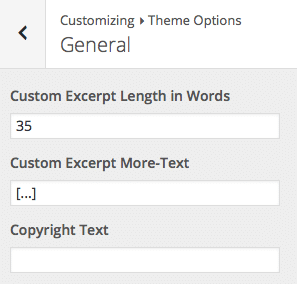 As all theme options are fully implemented into the WordPress Theme Customizer, you don't need to handle multiple option panels and you can configure your website with only a few clicks in the customizer. This is not only very effective, but also fun to play around with. 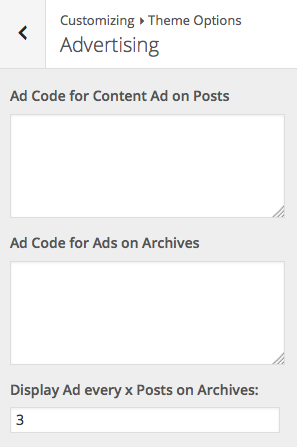 All screenshots here are taken from the options panel of the MH Magazine WordPress Theme (v3.0.0). 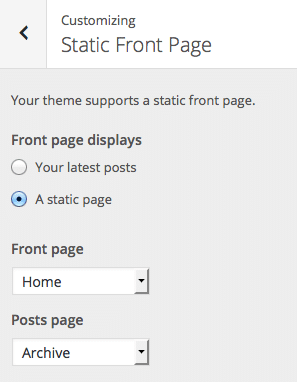 Please note that we can not guarantee that this page is always up-to-date, the theme options panel may change from time to time due to theme updates. 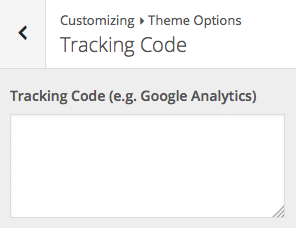 If you are unsure about the available theme options, please ask your questions BEFORE purchasing. We'll be more than happy to answer your questions. 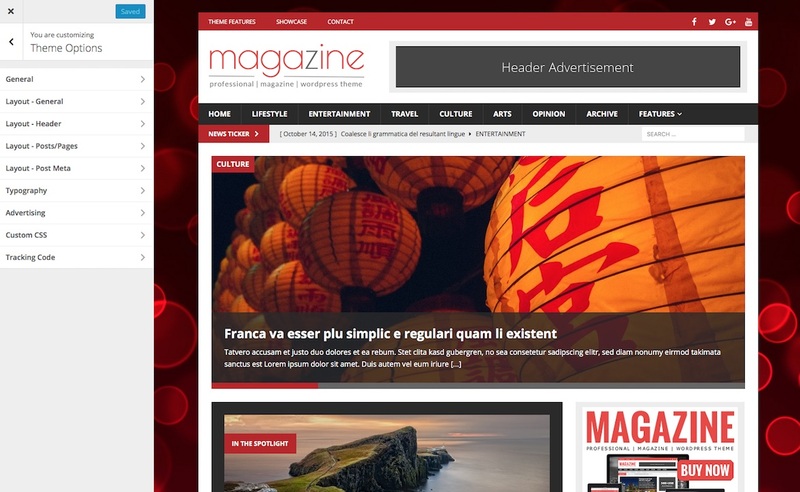 Start your own magazine within a few minutes! 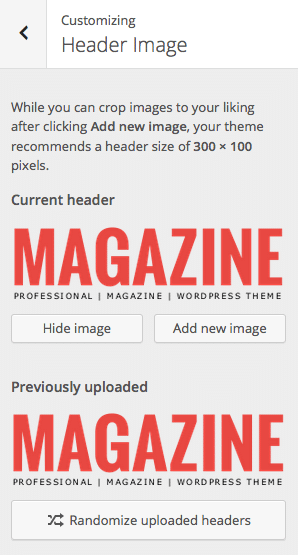 If you like the theme options panel and the built-in features, which can help you save time and reduce the number of 3rd party WordPress plugins you need, then please have a look at what else the popular and flexible MH Magazine WordPress Theme has to offer. 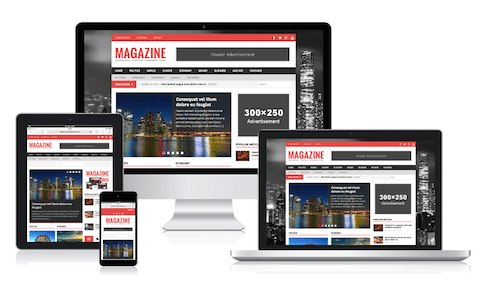 Our professional magazine themes for WordPress are ideal for modern online magazines, dynamic news websites, SEO projects or other editorial related websites. In case you have purchased magazine themes from MH Themes and need support, we will be more than happy to assist you through our professional helpdesk!